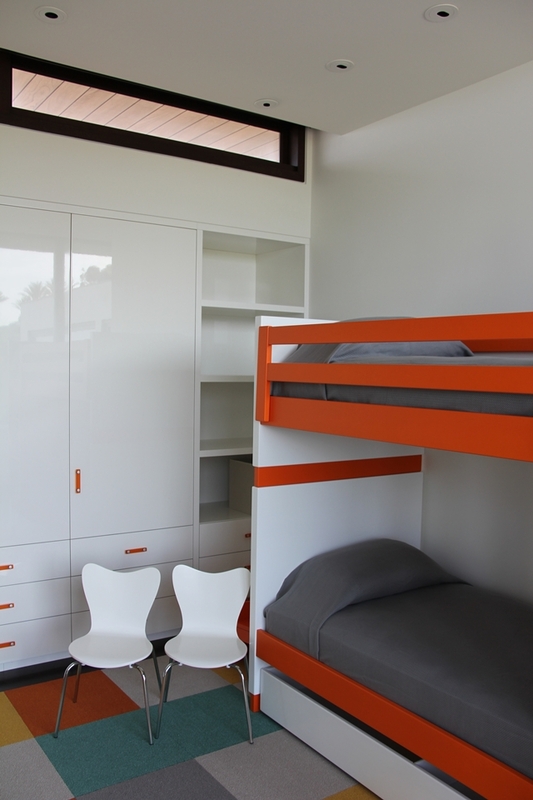 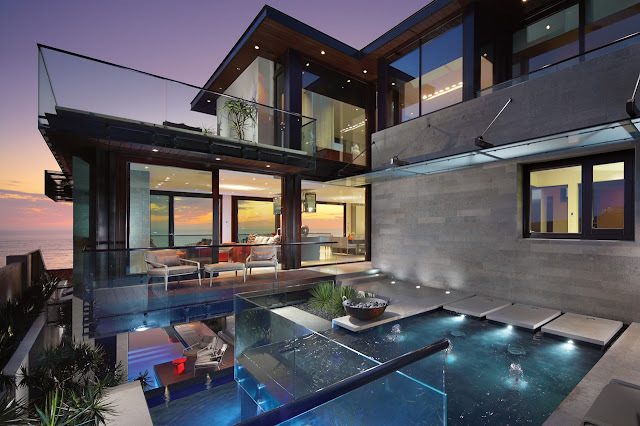 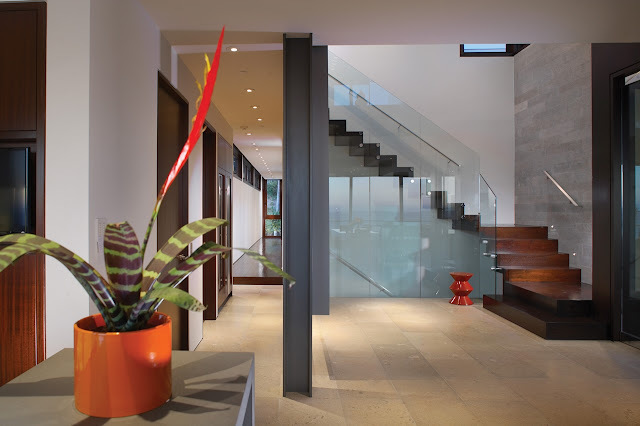 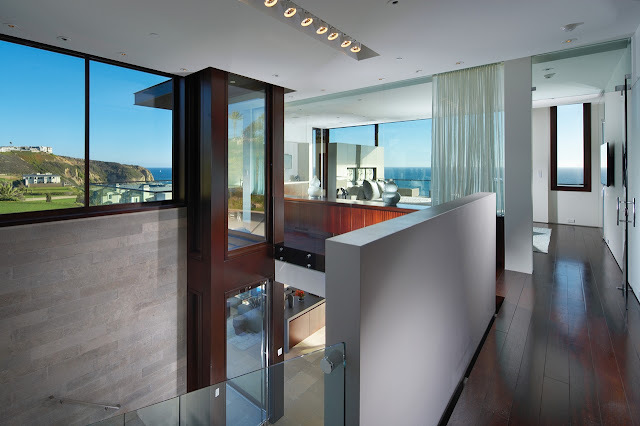 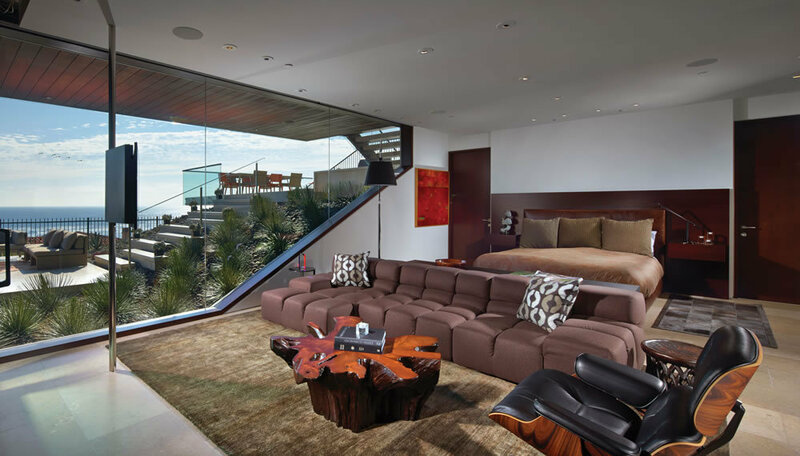 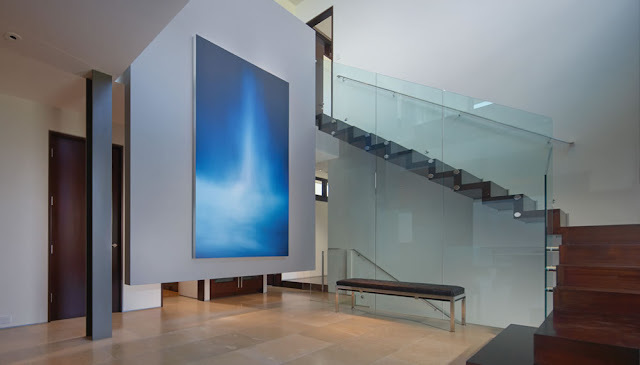 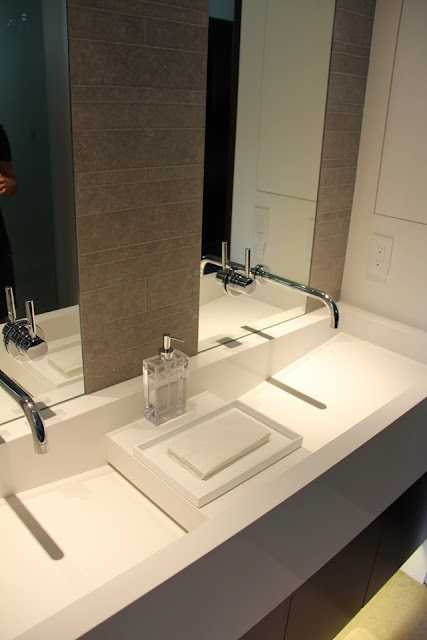 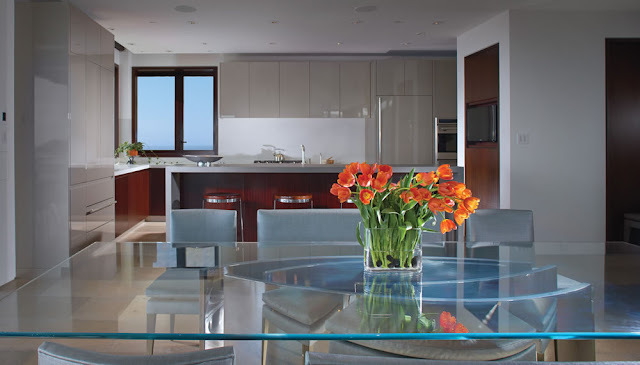 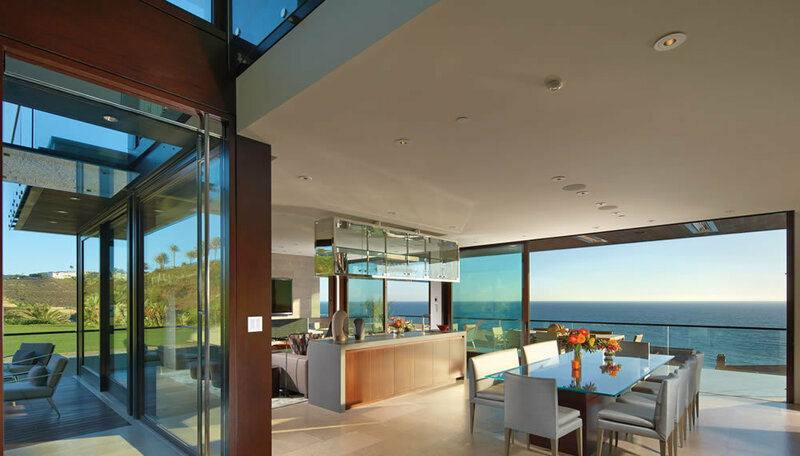 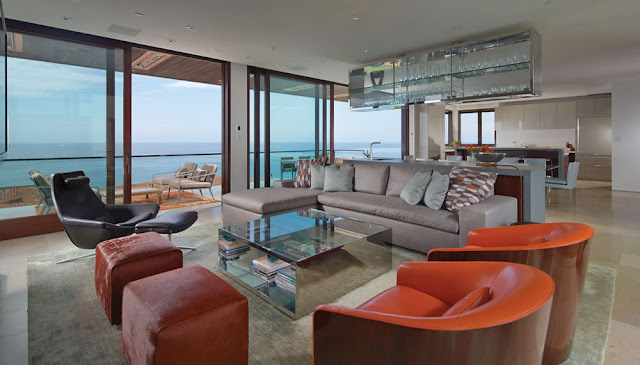 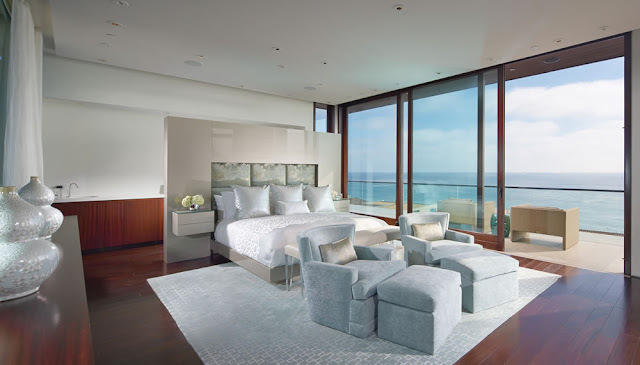 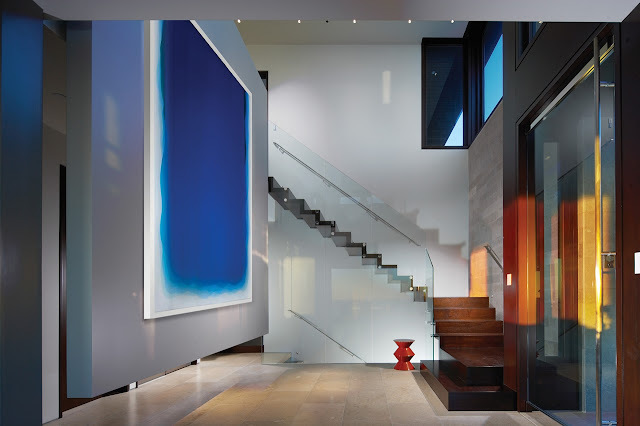 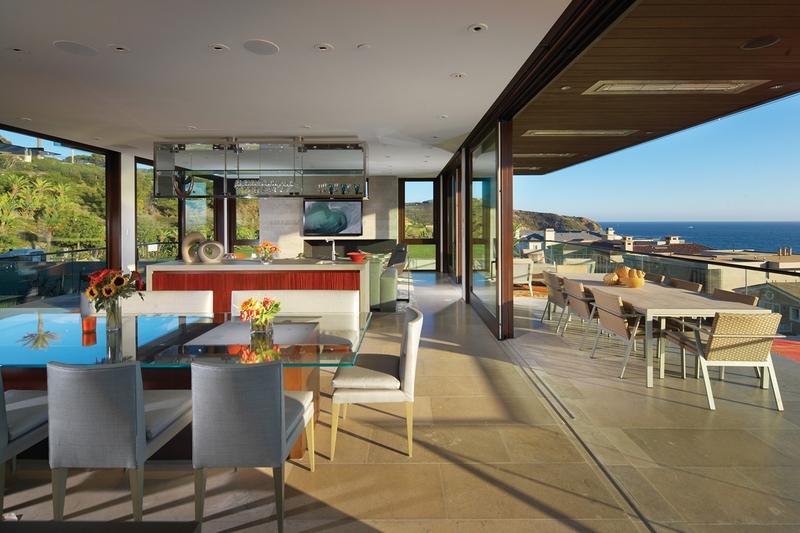 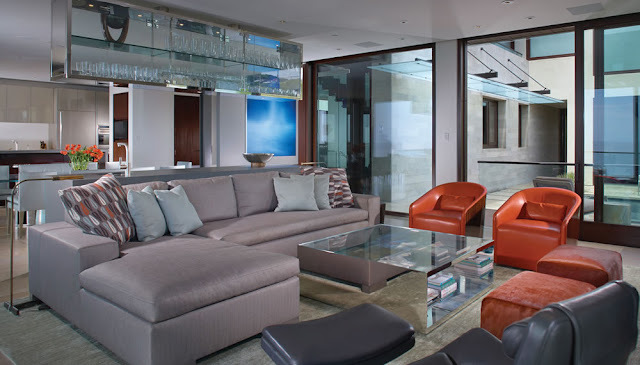 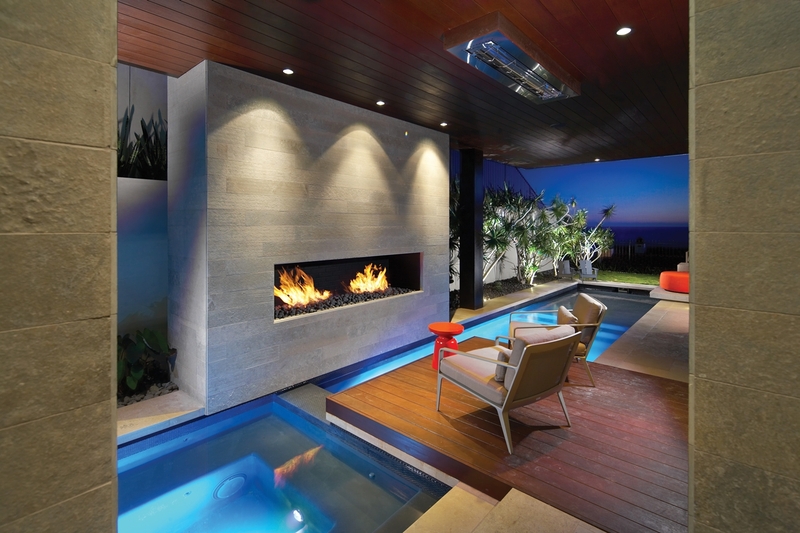 This AIA award winning home resides at the Strand in Dana Point, California. 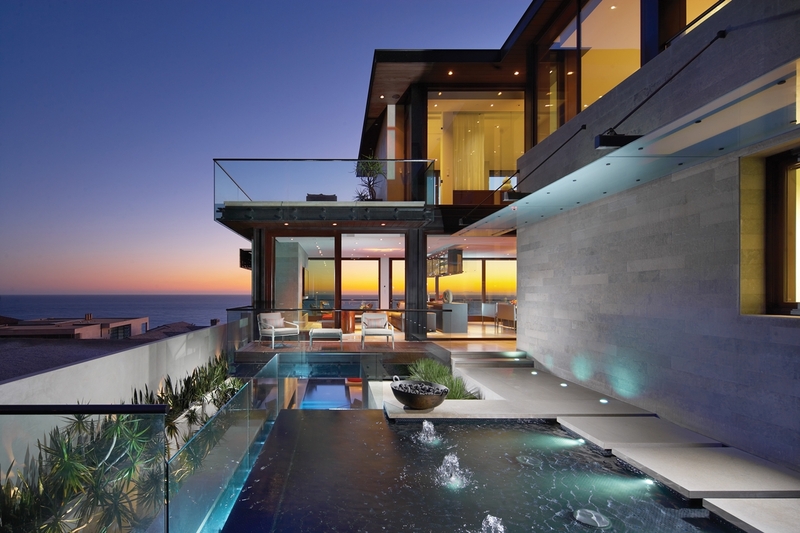 A series of overlapping reflecting ponds within the home’s central courtyard instills a sense of meditation and retreat where one can contemplate the sky and ocean. 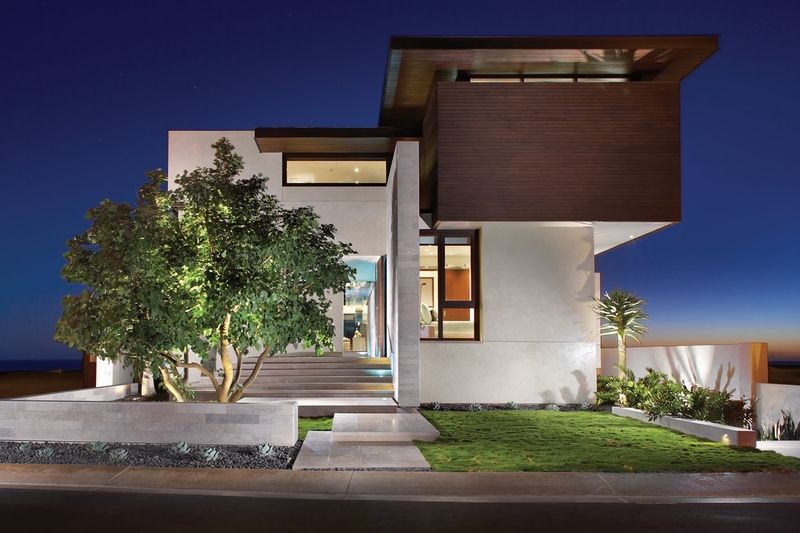 Outdoor and indoor living is orchestrated by balancing views with privacy, communal space with intimacy. 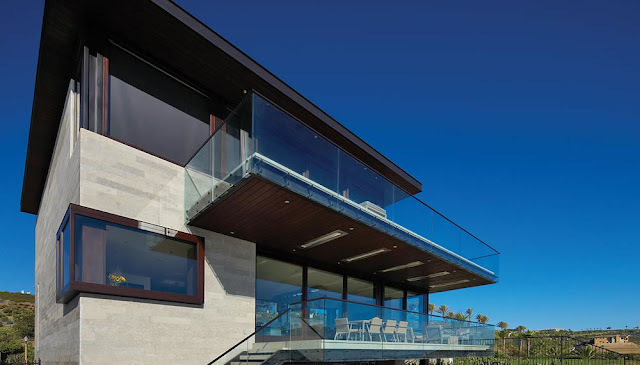 The clear expression of the steel skeleton structure, infilled with wood and glass, allows the structure to sit lightly along the coastal terrain, while limestone walls anchor the structure. 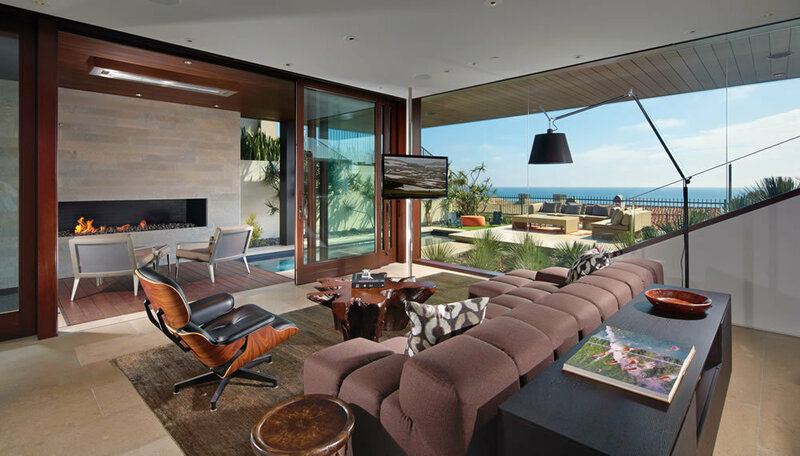 Several generations of the owner’s family enjoyed seaside vacations in their weathered, wooden cottage in Crystal Cove, just north of Laguna Beach, California. When the lease with the State of California recently expired, the owners purchased a property within the Strand at the Headlands, a few miles south in Dana Point. 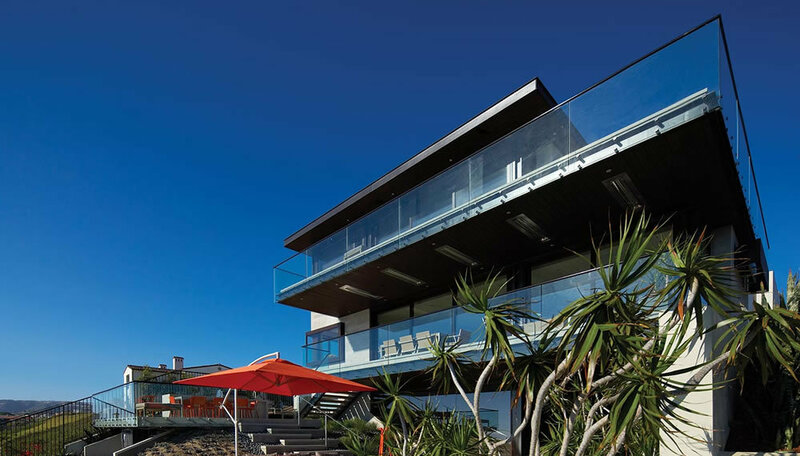 Seeking to re-establish their familial base, the owners requested a relaxed family beach house accommodating three master suites for parents and grandparents, as well as a suitable environment for children, grandchildren and friends. The parti reflects the program through a composition of three diaphanous pavilions around a central, unifying courtyard. 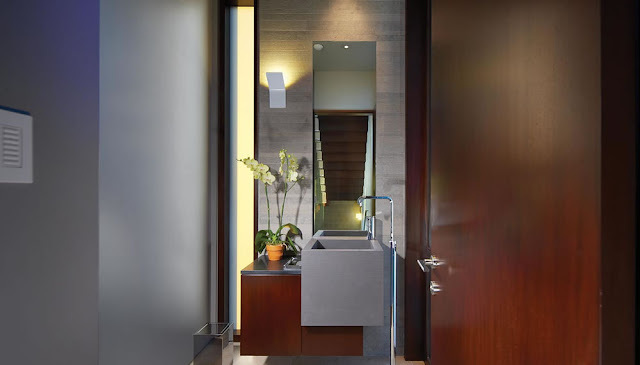 This courtyard is concealed from the street and entered discretely through a pivoting wood door revealing a covered passageway along a stone wall leading to the entry. 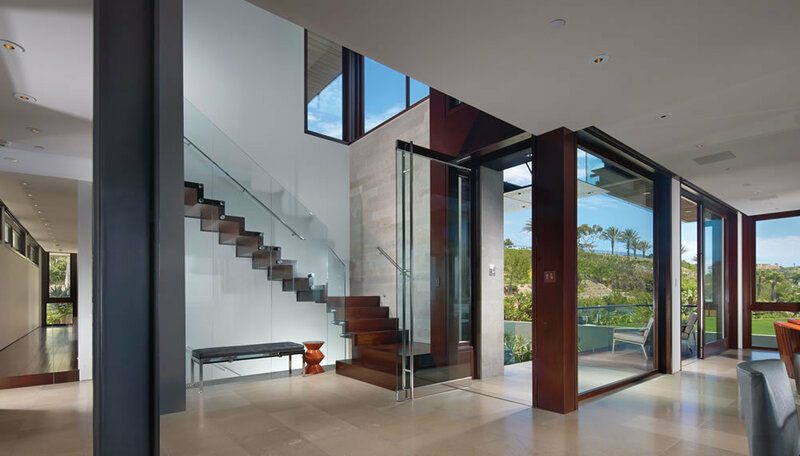 This sequence of movement from street to inner sanctum creates an atmosphere of mystery and heightens the sense of arrival, while also revealing the ocean view sequentially. A series of overlapping reflecting ponds contained within the central courtyard instill a sense of meditation and retreat where one can contemplate the ocean and sky.